Walt Disney was fired by his newspaper editor because "he lacked imagination and had no good ideas." Reportedly, Albert Einstein was told as a child, "You will never amount to anything!" Beethoven's music was not initially accepted by critics and one music teacher said, "as a composer, he is hopeless." You've heard stories like these of famous failures. We see the incredible achievements of their lives, but we often forget the struggles they most definitely faced. We all face struggles. Most every person can relate to withstanding a biting critique or unfair assessment. And when we hear these voices expressing doubts about us, our abilities, and even our intentions, it can cause us to doubt ourselves, our worth, and our purpose in this world. But often the voice that is most damaging to our future is the voice within us. It's our own shadow. We are often our own worst critics. Our internal voice says play it safe, don't take any chances, just stay comfortable. Our shadow makes us hesitate. It generates fear in us that is paralyzing. We retreat to the familiar, the routine, the mundane. But don't let your shadow steal your dream! If you have a dream, don't put it off. If you feel a push to do something, make it happen. As Henry David Thoreau urged, "advance confidently in the direction of your dreams." Don't wait. The shadow's push-back against your dreams will not relent unless you push-through and just go for it. Make something happen. 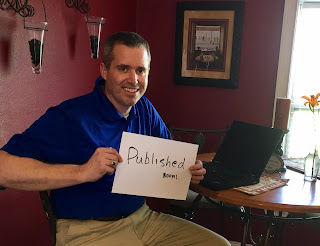 Over a year ago, I took the first step toward a dream I have of writing a book for educators. I wanted to write a book that would make a difference for classrooms and schools. I started. But then my own voice of discouragement slowed my progress. I was too busy (so I thought). My ideas were lacking (so I thought). I hesitated. But I am determined to push through. I am determined to see this dream realized. Before I return to school in August, my new book will be published. My hope is that it will challenge and inspire educators to crush the status-quo so we can better prepare students for an unpredictable world. Cheesy photo to keep me focused! I want to use my effort, enthusiasm, and experiences to strengthen our profession. I want to see stronger schools. I want to see more excitement for learning than ever before. I want to see students and teachers engaged and empowered by their school experience. That is my dream. And I want the same for you. I want to see your talents and passions used to reach for your dreams. There will never be a perfect time. Your shadow always wants you to hesitate. Don't listen to your internal critic. Do something today to move in the direction of your dreams. A body in motion tends to stay in motion. And a body at rest tends to stay at rest. If you are going to fulfill your purpose in life, you have to step forward in faith. You have to take risks. You can't play it safe. You have to take that first step now. As I make progress on finishing the book, I'll share some updates here on my blog. I'll give you a preview of the book and detailed plans for release. And I'll also ask for your help in sharing the news in your circles. 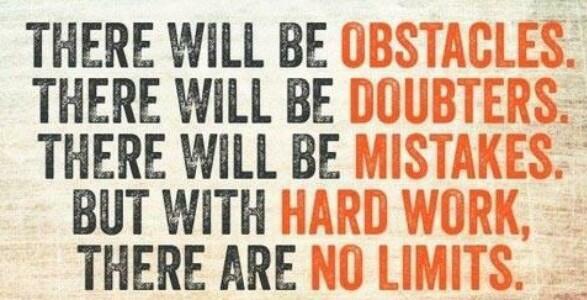 Press on toward your dreams! Question: What are you going to do this summer to move in the direction of your dreams? I want to hear from you. Share your story of overcoming your shadow. Let's unleash our purpose and potential together. Leave a comment below or respond on Facebook or Twitter. Are You Strengths-Based Or Deficit-Driven?